Pat McVay is a full time sculptor working mainly in wood. He creates sculpture, carved murals and furniture. Please visit his web site to see more. 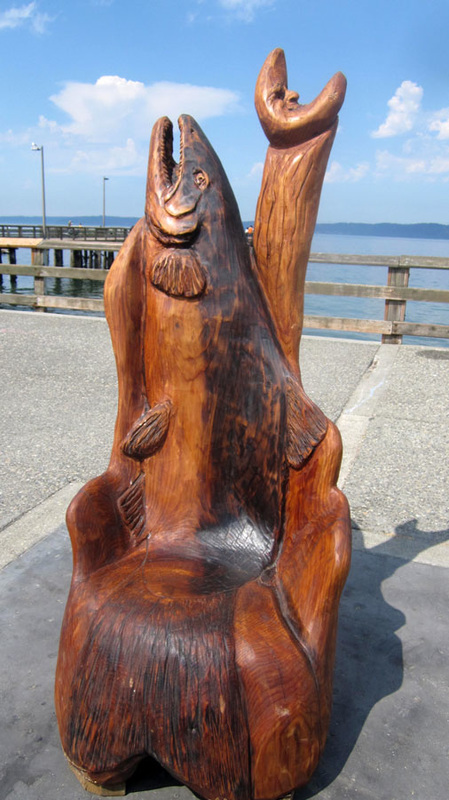 Wild Salmon Chair, howling at the moon!